Evanger’s: When bearing cRc Passover approval. when noted, chometz may be purchased only at the specified addresses. Consumers in other communities should check with their local Vaad Hakashrus for regional store information. For updated information, regarding stores where chometz may be purchased, please see www.star-k.org/passover. For this reason, one should not buy chometz from a Jewish-owned store immediately after Pesach, unless the owner sold all chometz that he owned before Pesach to a non-Jew for the duration of Pesach, and did not acquire any further chometz during Pesach. The laws of mechiras chometz (selling chometz to a gentile for Pesach) are complex; therefore the sale must be made by a competent rabbi or kashrus authority. The following chart offers guidelines for products that are ( חמץ שעבר עליו הפסח (שעה”פ . “Yes” next to a product indicates the product is subject to the halachos of חמץ שעה”פ . Following Pesach, one may purchase these products only from a Jewish owned store that properly sold its chometz, or from a store owned by a gentile. “No” next to a product indicates the product is not subject to the halachos of חמץ שעה”פ . These products may be purchased at any store after Pesach. Chometz content is more than a k’zayis. 2. Should be avoided on Pesach. 3. Unless bearing a reliable Passover certification. 4. Only acceptable when the certifying agency has documented that all chometz issues have been resolved. If you sold your chometz earlier that morning: You should move the chometz that you found to the place that you are storing the chometz that you sold. If you did not sell your chometz earlier that morning: You should burn it. If you find chometz on the first day of Pesach: You should cover it with a utensil. Kashering – A hotel kitchenette requires the same method of kashering for Passover as a home kitchen. Please consult the “STAR-K Pesach Kitchen” for more information. Kosherization must be completed before Passover. Bedikas Chometz – One who is staying at a hotel and did not bring any chometz into the room should perform bedikas chometz without a brocha.1 Some hotel rooms have a “mini-bar” that is pre-stocked with drinks and snacks by the hotel. If there are food items in the mini-bar which are not kosher for Passover, one should ensure that the staff removes those items. Alternatively, the mini-bar should be sealed off and the staff informed that the guest bears no responsibility for those items.2 Ice from the icemaker may be used, but the ice bucket in the room should not be used. The coffeemaker also may not be used. Electric smoothtops may present a problem of kashering for Pesach. Check with your rav. Electric cooktops may pose a problem with adjusting the temperature on Yom Tov. Electronic ignition may pose a problem with initiating a flame on Yom Tov. 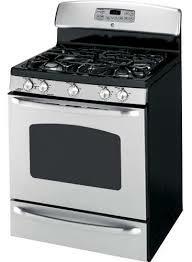 Cooktops (gas or electric) may have a light or light bar that turns on when the burner is turned on. Some of these light bars also increase or decrease as the temperature setting is adjusted. 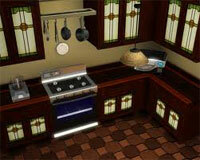 Some cooktops may also have simmer lights that turn on and off as one enters or exits a very low setting. Avoid electronic controls. After return of power from a power failure, these units will probably stay off. Avoid induction cooktops. They work well, but are not usable on Shabbos or Yom Tov. 12-hour cutoff – should have a way to disable or override. Should have a way to disable or override. Yom Tov celebrations could never be complete without the traditional piping hot delicacies from past generations. However, the kosher homemaker must be well educated on how to prepare Yom Tov meals without fear of transgressing a Torah or rabbinic prohibition. The following is a checklist reviewing items commonly found in the kitchen and how to prepare them for Pesach. Since it comes into contact with chometz (e.g., washed with dishes, boiled in chometz pot), new ones should be purchased. Clean thoroughly. Preferable to cover the tray with contact paper. New or Pesachdik receptacle required (plus any part of unit that makes direct contact with food). Thoroughly clean appliance. The blade should be treated like any knife and should be kashered through hagola. Difficult to clean properly. Should be put away with chometz dishes. Clean thoroughly. Should not be put under hot water in a Kosher for Pesach sink. Metal coffeemakers that have brewed only unflavored pure coffee. Clean thoroughly. Replace with new or Pesachdik glass carafe and new filters. The production of Kosher for Pesach (KFP) matzos involves a great deal of meticulous work. The process begins with the inspection of wheat kernels to ensure that they have not been adversely affected by moisture in the air or prematurely sprouted. Grinding of the grain must be performed according to the dictates of halachah, which precludes any pre-grind soaking of the grain and requires special preparation of the milling equipment to ensure that no contamination exists from non-Passover flour in the grinders and filters. The KFP flour is then loaded onto trucks, either pneumatically or in bags under controlled conditions, and shipped to the bakeries. The following contains halachic guidance concerning some of the common issues that arise when conducting a Pesach Seder. In particular, it discusses preparation for the Seder, the four cups of wine, and the obligation to eat matzah, marror, korech and Afikoman. This is by no means comprehensive. For a more comprehensive guide, see HaSeder HaAruch by Rabbi Moshe Yaakov Weingarten (three volumes, 1431 pages). As the Yom Tov of Pesach nears, and the diligent balabusta begins to tackle the challenge of preparing the kitchen for Pesach, undoubtedly the light at the end of the tunnel is beginning to shine. Although moving into a separate Pesach home sounds very inviting, such luxuries are often not affordable and definitely not in the Pesach spirit. Among the basic mitzvos of the chag is the mitzvah of “Tashbisu Se’or Mibateichem”, ridding one’s home and possessions of chometz. However, if we are to use kitchen equipment, utensils, or articles that can be found in our kitchen year-round, it may be insufficient to just clean them thoroughly. One is forbidden to use these items unless they have been especially prepared for Pesach. This preparation process is known as kashering. Besides pharmaceutical companies, Rabbi Gershon Bess also contacts many cosmetic companies and bases the following chometz-free list on his research. L’halachah, all non-food items not fit for canine consumption (nifsal mayachilas kelev i.e., something that one would not feed his dog) may be used on Pesach. This includes all cosmetics, soaps, ointments, and creams. Nonetheless, people have acted stringently with regard to these items. Many products, including shaving lotion and perfume, contain denatured alcohol which can be restored to regular alcohol. According to most opinions, one should not use such products on Pesach. The list notes products which do not use chometz-based alcohols. One wets one’s hands in the mikvah water, holds the vessel in the wet hand and says Baruch…Asher Kidshanu B’Mitzvosav V’Tzivanu Al Tevilas Keili (Keilim for multiple utensils) and immerses the vessel(s). If one forgot to make the brocha, the immersion is valid. The water of the mikvah must touch the entire vessel inside and out. The entire vessel must be under water at one time, but does not have to be submerged for any prolonged period of time. Appliance manufacturers, with the aid of modern technology, have designed kitchen appliances to be safer and more efficient while incorporating various features to enhance operation. However, the integration of this technology may pose a challenge to their proper use on Shabbos and Yom Tov. In 1997, a historic technological project was launched between a major appliance manufacturer and a kosher certification agency. Whirlpool Corporation (manufacturer of KitchenAid) approached the STAR-K to help modify their ovens for use on Shabbos and Yom Tov. Prior to that time, many of their appliances did not conform to halachic guidelines. Following some adjustments, a successful mode was developed. 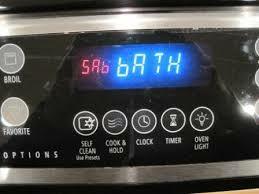 Whirlpool called this “Sabbath Mode” and was awarded a patent in 1998 for this concept. 1. Sabbath Mode, includes models that have unique software/hardware designed to specifically address our concerns. Cookin’ just ain’t what it used to be. Technological advances have taken the old stovetop and oven and upgraded them to be safer, more efficient, and smart for today’s lifestyle. They are also far more complicated. With these transformations, the observant Jew is faced with challenges that did not confront him in the past. To understand how these changes affect the halachic use of the stovetop on Shabbos and Yom Tov, it is worthwhile to review some laws and concepts as they relate to cooking on Shabbos and Yom Tov. Cooking on Shabbos is a Torah prohibition derived from the constructive acts performed in erecting the mishkan. This forbidden act is known as a melacha. There are 39 categories of prohibited acts. For many years, Rabbi Gershon Bess has prepared a Guide for Pesach Medications and Cosmetics. This list has been published and distributed by Kollel Los Angeles. For over a decade, STAR-K Kosher Certification in conjunction with Kollel Los Angeles has made this list more widely available to the general public. This guide, available in Jewish bookstores nationwide, has served as an important resource to kosher consumers. Sefer Kovetz Halachos (Hilchos Pesach 12:4) states in the name of HaRav Shmuel Kamenetzky, shlit”a, that l’chatchila one should take a medication approved for Pesach (see ibid. footnote #5 that mentions the availability and use of reliable Pesach lists and guides). As is commonly known, the Torah prohibits chometz on Pesach, and the consequence of chometz consumption on Pesach is very severe. In order to distance us from the possibility of violating Torah precepts, chazal with their supreme insight, instituted a minhag as a protective fence. The minhag to guard us from chometz violations is to refrain from consuming kitniyos on Pesach. The challenge of diabetes seems ten-fold when it comes to Pesach. There are a whole new set of considerations — four cups of wine at each Seder; a many-hour wait until Shulchan Aruch; knowing the carb content of a single hand matzah. These are real concerns for people with diabetes and related health issues, who wish to fulfill the requirements of Pesach al pi halachah without compromising their health. STAR-K has turned to the Jewish Diabetes Association (JDA) for answers and the JDA has kindly provided the following guidelines to help you prepare your matzah and wine. The stipulations for minimum shiurim for matzah, which follow, are based on the psak of Rav Moshe Heinemann, shlit”a. NOTE: These calculations from the STAR-K are based on the use of a Tzelem Pupa hand matzah. Although להלכה, any chometz may be sold before Pesach, there are pious individuals who do not sell “real” chometz, but rather give it away, burn it, or eat it before Pesach. How does one define “real” chometz? A food for which there is an issur of בל יראה ובל ימצא דאורייתא (there is a Torah prohibition of ownership on Pesach) is “real” chometz. This includes all items that are חמץ גמור, real chometz (bread, cake, pretzels, pasta, etc.). It should be noted that people who do not sell real chometz may purchase real chometz from a Jewish owned store that sold their chometz.